Dog Bites | Nashville Personal Injury Lawyers The Law Offices of John Day, P.C. At The Law Offices of John Day, P.C. We Fight for the Rights of Dog Bite Victims. In Tennessee, we love our dogs, but when a dog bites or attacks it is no longer man's best friend but instead a feared foe. According to the Centers for Disease Control and Prevention, 800,000 people will seek medical treatment for dog bites each year, and young children are the most endangered age group as they represent roughly half of the victims. Of those 800,000 people, 386,000 of them will need emergency medical treatment and 16 of them will die from injuries inflicted by a dog bite or attack. If you or your child has been bitten or attacked by a dog, one of our experienced dog bite attorneys will help you get justice. Tennessee's dog bite law is complex with numerous exceptions to liability. We have been representing dog bite victims for more than 80 years, and we are skilled at developing the necessary proof to win these cases. Our results speak for themselves -- we have recovered more than $100 million dollars for our clients. We would like to help you too. We Are Your Voice When You've Been Bitten or Attacked by a Dog in Tennessee. Work to ensure you get the maximum compensation possible for your pain and suffering, medical bills, lost wages, scarring, etc. Contact Us Today and Speak With One of Our Tennessee Dog Bite Attorneys for Free. Contact us online or call us any time of day. We have offices conveniently located in Nashville, Murfreesboro or Brentwood. Call as at 615-669-3993 (Nashville) or 615-867-9900 (Murfreesboro) or 615-742-4880 (Brentwood) or 866-812-8787 (toll-free). We will thoroughly discuss your dog bite case during a free, no-obligation consultation. If your injuries prevent you from coming to our office, we will gladly come to your home or the hospital. We understand the devastating physical, emotional and financial impact a dog bite or dog attack can have on the entire family and we will work tirelessly to ensure you get justice and the maximum compensation reasonably possible. 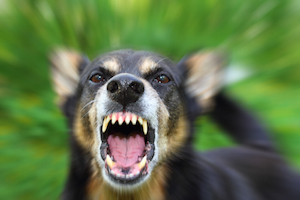 We handle all dog bite and dog attack cases on a contingency basis, so we only get paid if we recover money for you and your family. For more information on dog bite cases, please review the additional information below. Four Easy New Day's Resolutions Do you make New Year's Resolutions? A lot of us do. The most common New Year's resolutions are: (1) exercise more; (2) eat healthier; (3) save money.